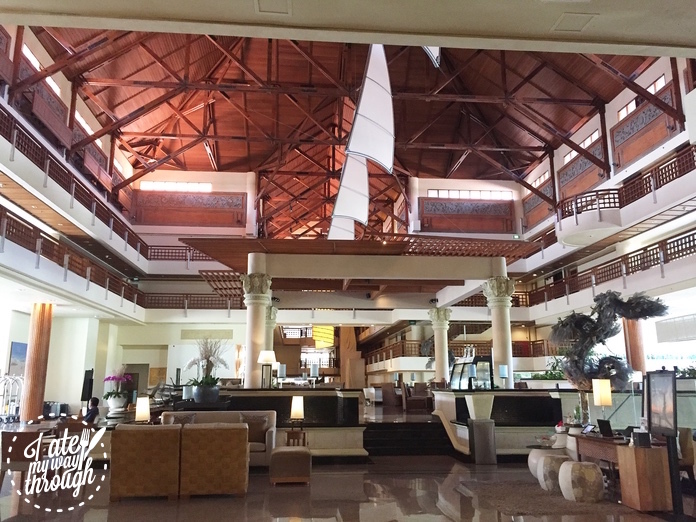 From the second you step into the enormous, dark-timbered hotel lobby of the Westin Nusa Dua, you know you are in for a treat. A hand towel and fruit drink are presented as soon as you arrive and from that moment it’s clear that everything you need to help you relax is on hand. 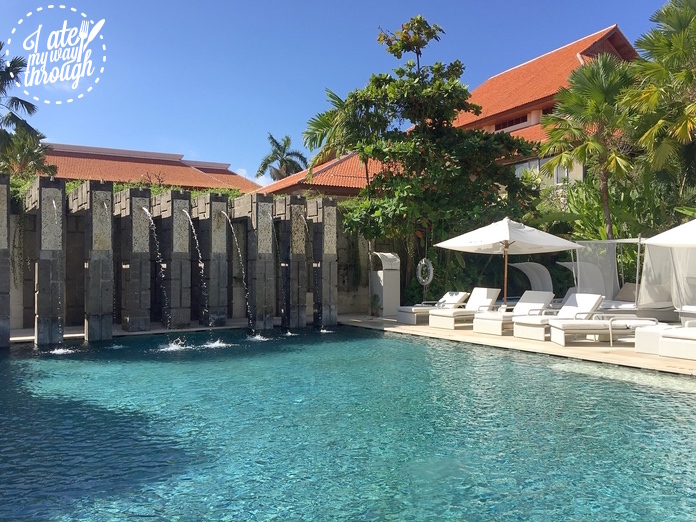 The 450 room-Westin is the second oldest resort in Nusa Dua although the premium wing where we stayed was refurbished three years ago. 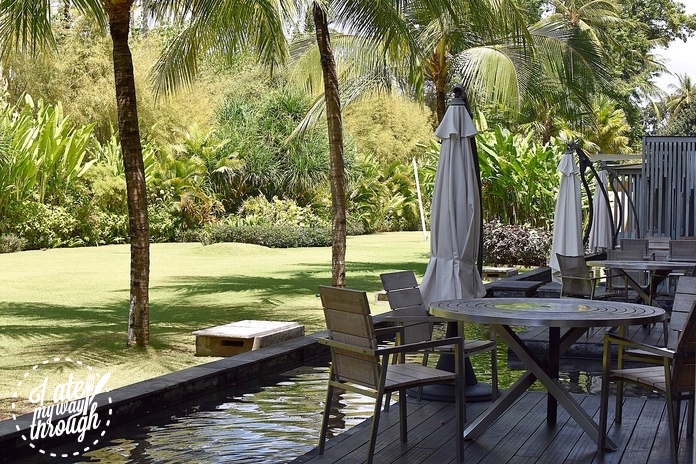 This part of the hotel is more peaceful as it is located at the opposite end to the beach; but fear not if you fancy a dip – there is a swimming pool alongside which is also quieter as it is away from the main pools. 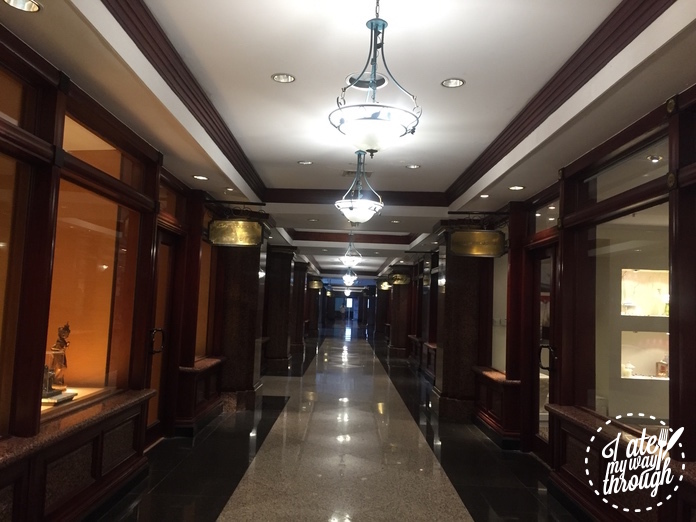 The premium wing is located above Restaurant Prego where simple daily breakfast is served. 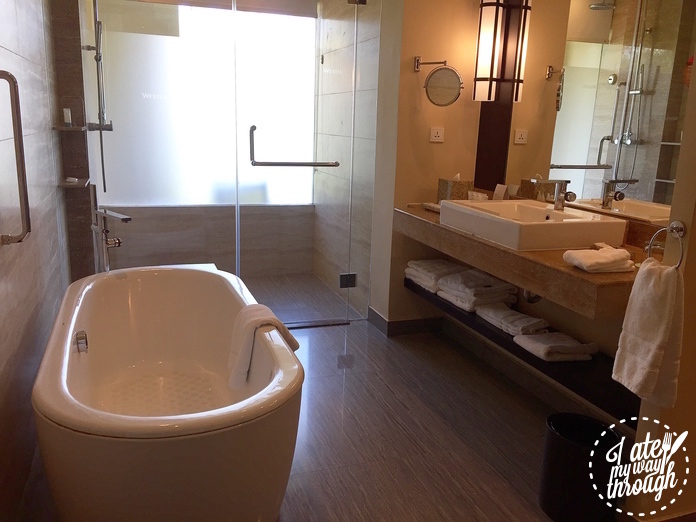 Our 48-square meter room has a glass-front balcony providing views of the resort’s stunning surroundings but the room itself is nearly as pleasing to the eye. 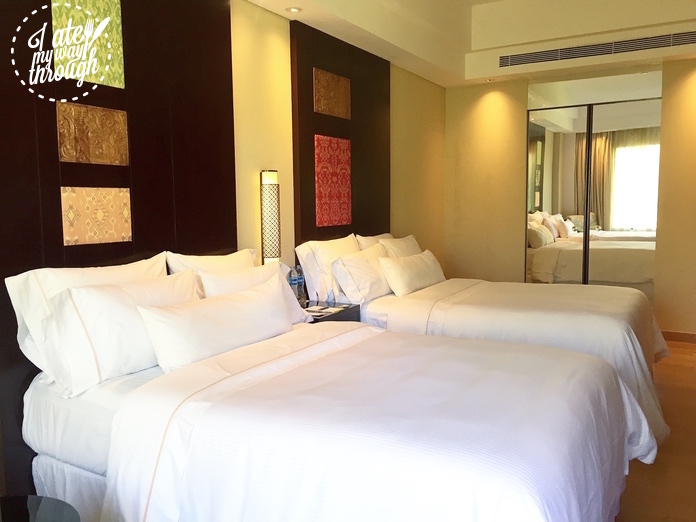 The contemporary design is distinguished by Balinese artwork providing a local touch to both the bedroom and spacious bathroom. The focus is firmly on relaxation and what is more relaxing than a good night’s sleep? With ultra-comfortable beds, calming Lavender Sleep Well Balm, and a special room-service menu of sleep-enhancing superfoods, you’re guaranteed an incredible night’s rest here. 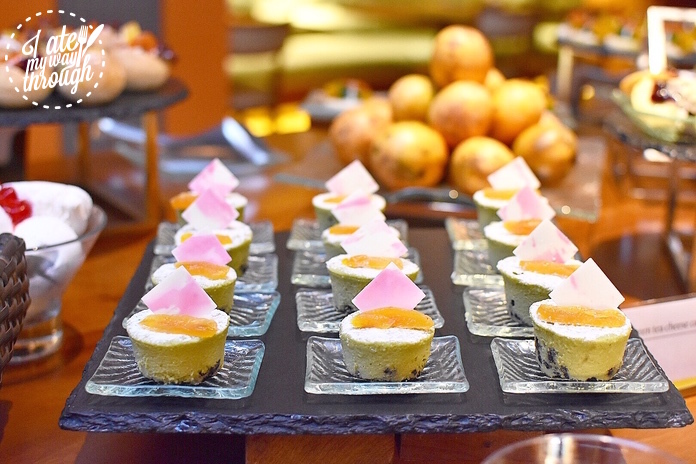 With six on-site restaurants and daily dining themes ranging from Balinese specialties, seafood, Italian, Spanish Tapas and Japanese, you’ll certainly never go hungry during your stay. 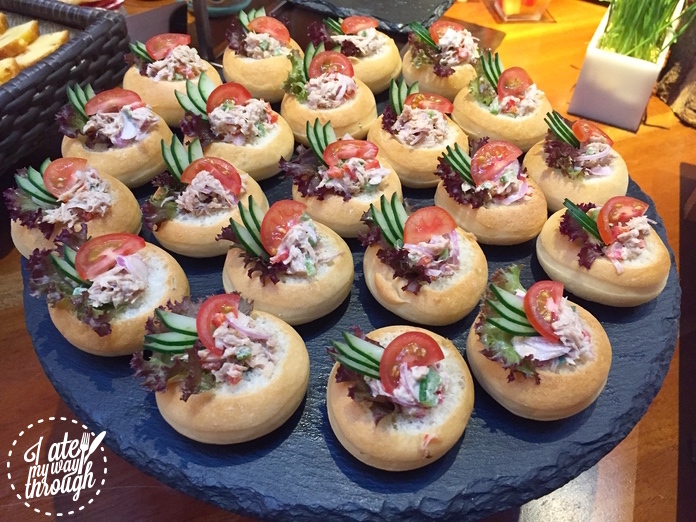 The previously mentioned Restaurant Prego specialises in classic Italian fare such as pasta and pizza with regional favourites as well. 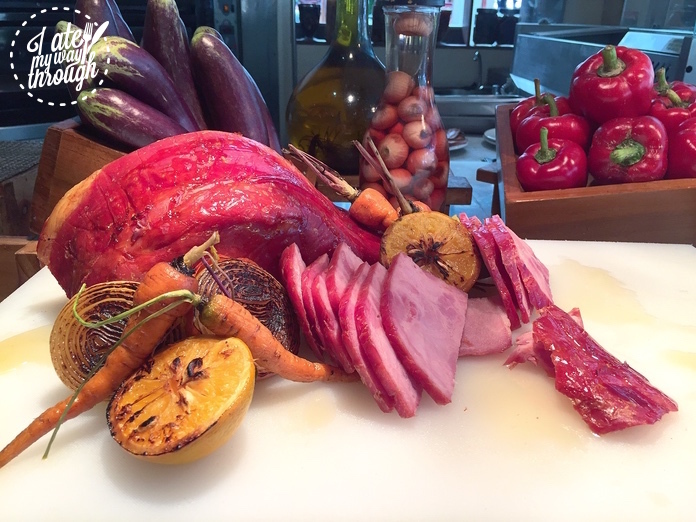 Prego’s weekly highlight is the FunDay Family Brunch which is available every Sunday 11:30am to 3pm. As the name suggests, this is all about great Italian food served in a lively atmosphere with entertainment for the whole family to enjoy. 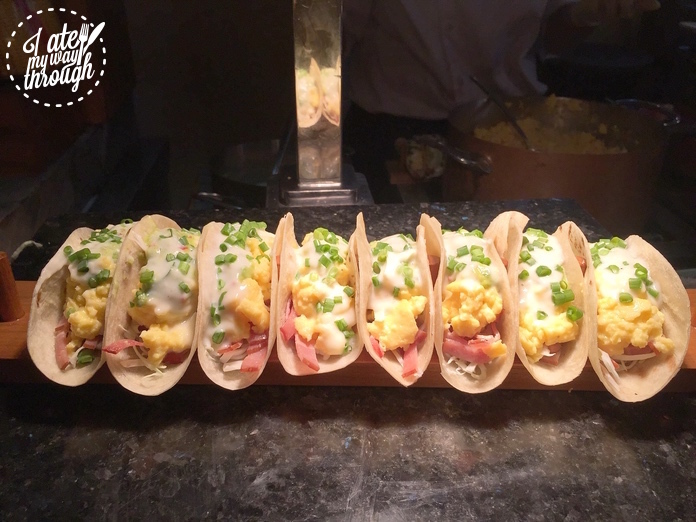 Seasonal Tastes is where you find the full selection of buffet breakfast including international dishes such as Japanese okonomiyaki, tacos, Indian-style deep fried flatbread, honey glazed ham, Chinese noodle soup, dumplings, waffles and much more. 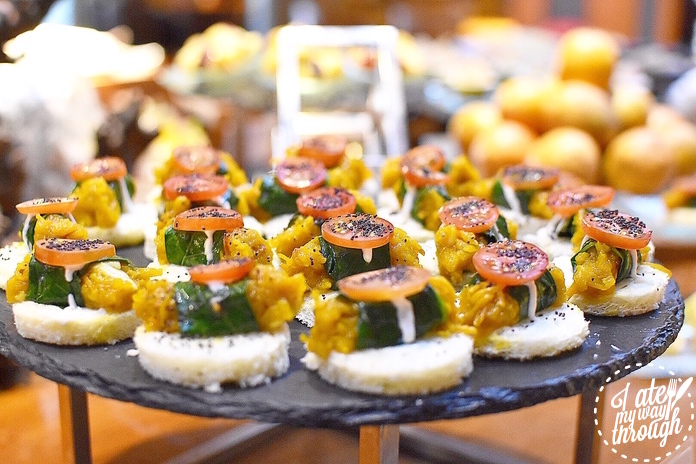 But it isn’t just the breakfast that satisfies our taste buds, scrumptious afternoon tea daily (3.30-5.30PM) is served in Velada Tapas Bar & Kitchen while the Lobby Bar and Lounge is being renovated presently. 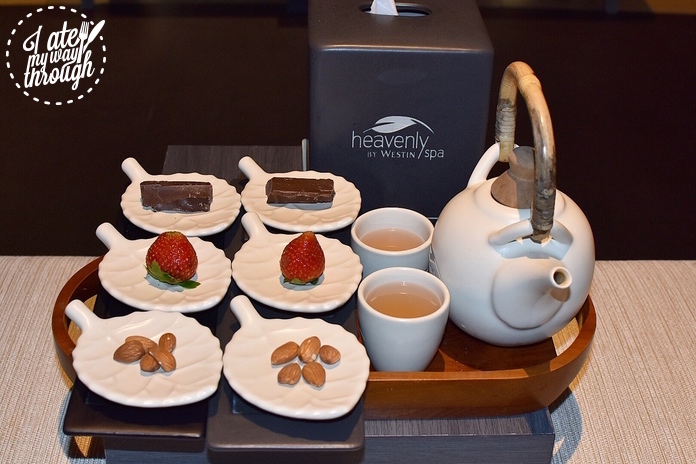 The bite-sized savoury and sweet treats will help you refuel after a day of activities and relaxation. The English spinach roll with roast pumpkin is particularly moreish and you won’t be able to stop after one. If you are torn between the chocolate pudding and matcha cheesecake, why not treat yourself and take one of each. 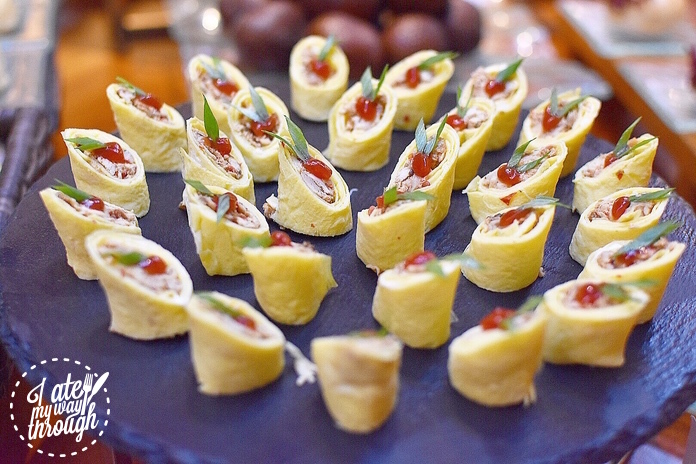 The chicken salad omelette roll and tuna rolls are other highlights. Fortunately the gym is located right next door if you feel the need to either build up an appetite for this fantastic spread or work off the calories afterwards. 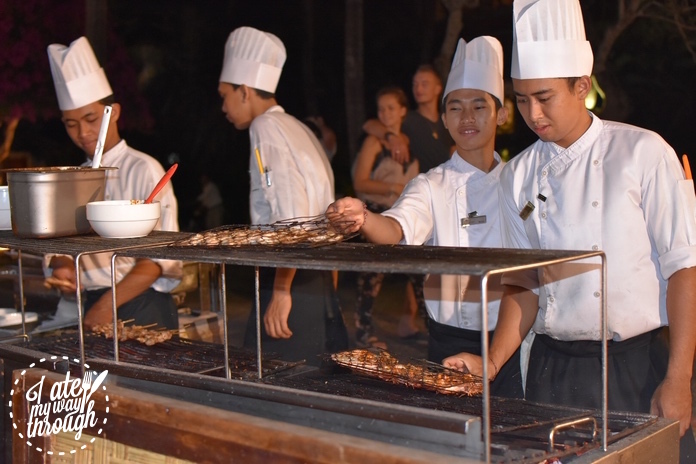 Another unique dinner experience on offer at Westin Resort Nusa Dua is the traditional Balinese buffet served on the beach every Tuesday (6:30 to 9:30PM). 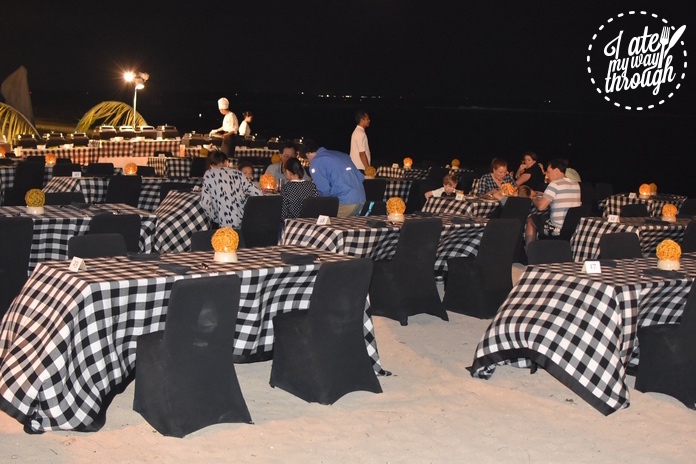 The tables are set up on the sand only footsteps away from the ocean. 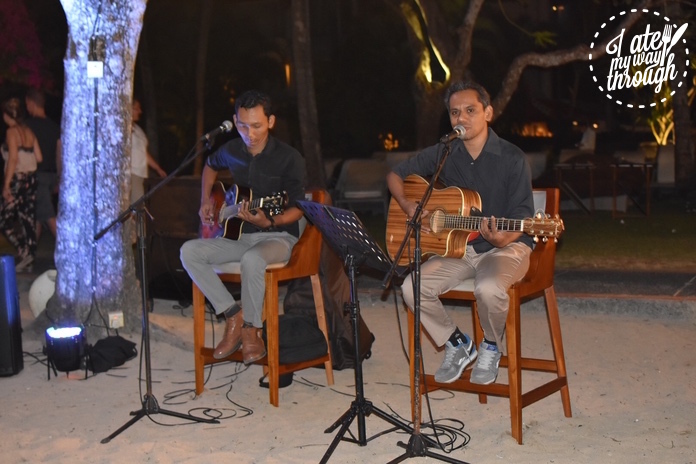 Whilst the chefs are busy cooking up a storm, you can sit back and enjoy the band playing classic 80s tunes. 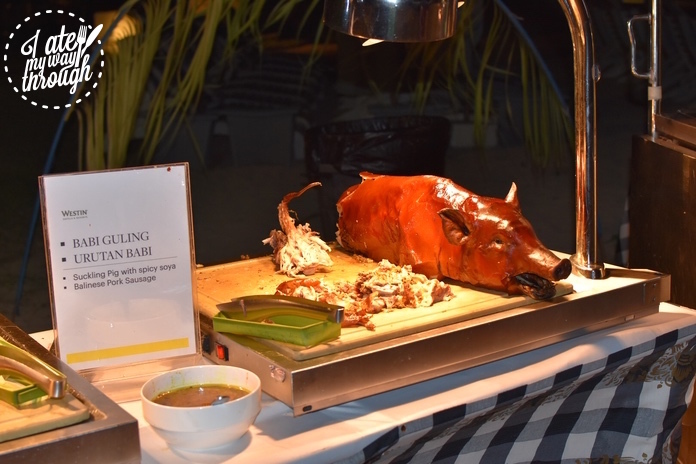 Food-wise, an array of cold entrees, grilled seafood and meat are popular options but it’s difficult to look past the spit-roasted, golden brown suckling pig. 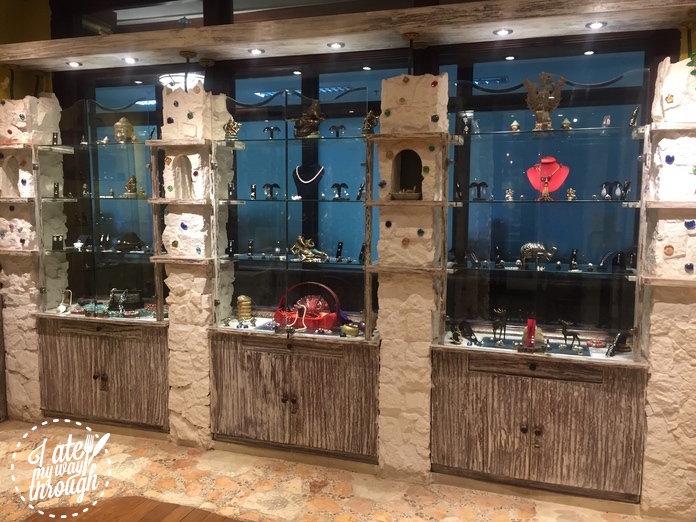 The Westin has an entire shopping arcade of boutique shops for souvenir hunters looking for that unique Balinese gift. Open daily from 8am to 10pm you can find ceramics, jewellery, clothes and paintings. The perfect way to remember an exotic holiday. 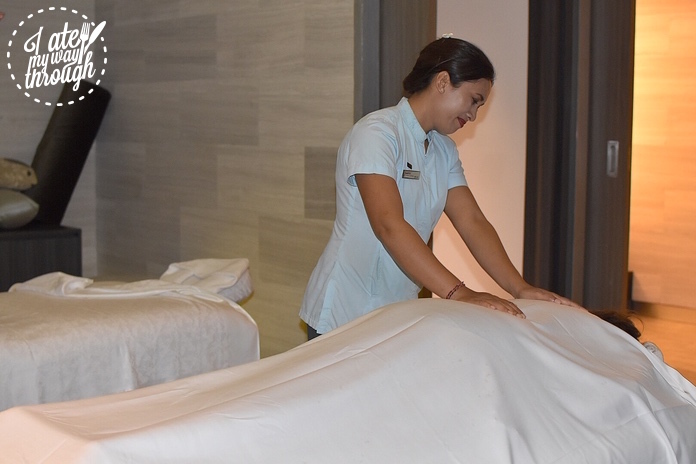 If the shopping is not your thing then the on-site Heavenly Spa offers full rejuvenating treatments in a blissful atmosphere and delivers complete relaxation. 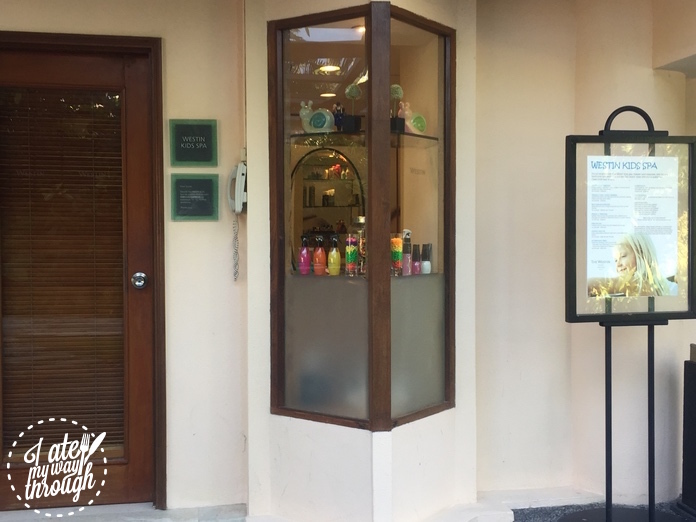 We felt renewed and revitalised after our one-hour coconut body scrub treatment and can’t recommend it enough. 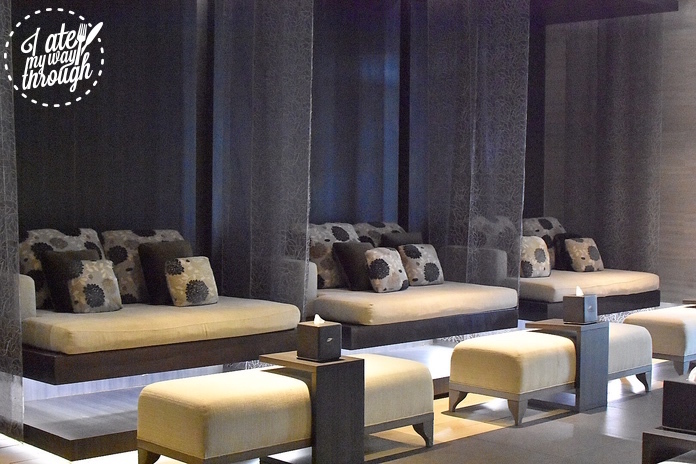 To make the most of your Heavenly Spa experience it’s worth arriving before your treatment to enjoy the complimentary steam room, Himalayan salt-sauna, hydro pool or warm shower. 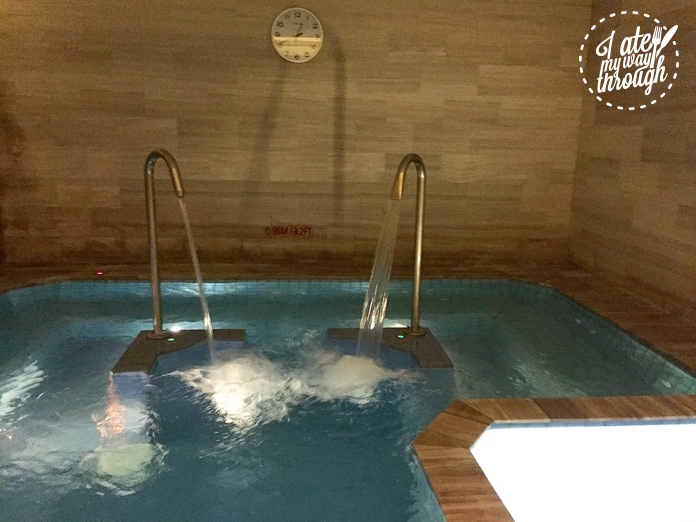 This is the perfect way to relax and warm your muscles, increasing the therapeutic benefits. After the treatment, the friendly staff brought out local tea and snacks for us while we took time and relaxed in the gorgeous lounge. 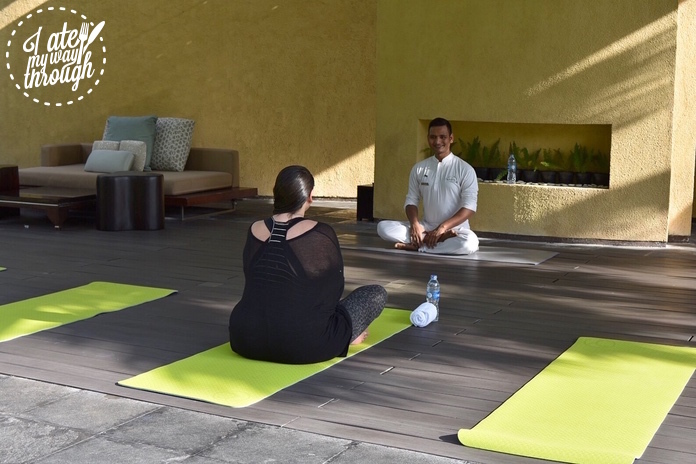 Hailing from the birthplace of yoga – India – Westin’s resident Wellness Specialist, Jitendra Pokhriyal combines his knowledge of the ancient meditation technique with traditional Balinese healing practices to focus on holistic wellness. 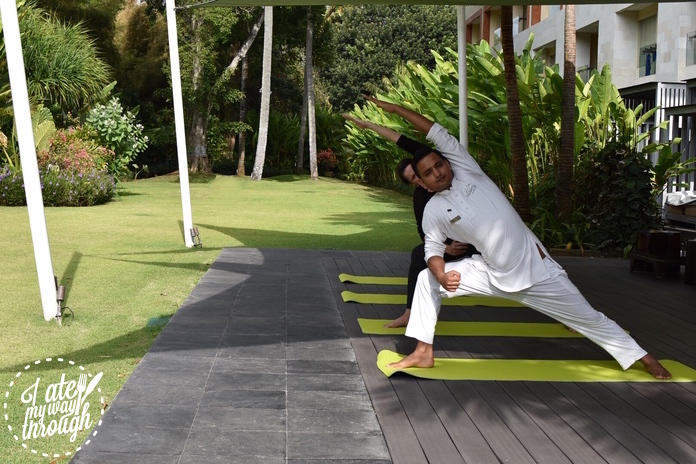 He conducts early morning and sunset yoga classes every day at all levels of proficiency for those seeking to embrace meditation and focus their minds. After feeling renewed by your wellness session why not join a cycling tour, play water valley ball, or, if that all seems too much effort, simply hire a Dream Bed by the beach and savour the calming sound of the ocean and soothing tropical breeze. There’s clearly plenty to keep the adults happy but what about the kids? 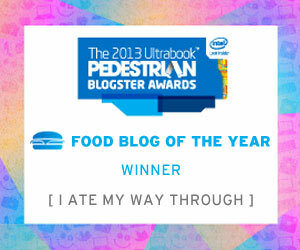 You can relax on that front as well. 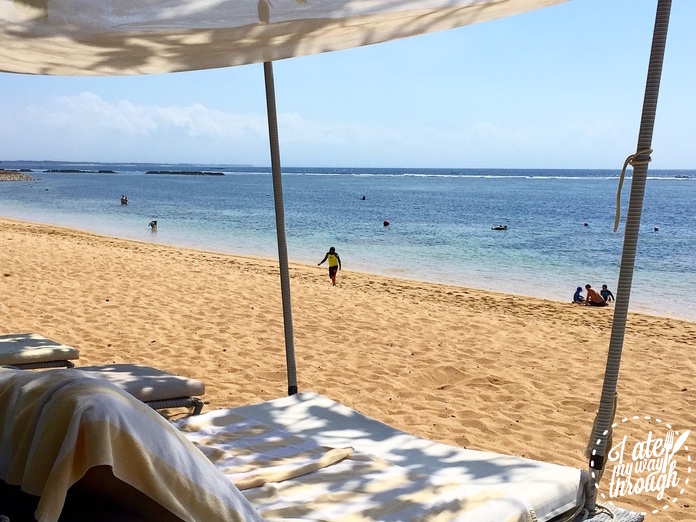 The Westin Resort Nusa Dua is considered to be amongst the best family hotels in the area. 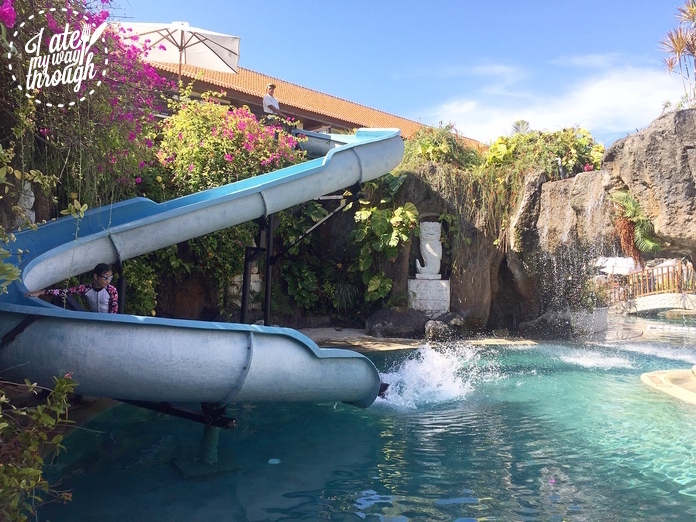 For a start there’s a freshwater pool for 4 to 12 year olds which includes a twelve meter waterslide. There are also activities for the whole family such as kite making, Balinese dance lessons, beach walks and fruit carving. All activities are suitable for kids aged 4 to 12 and run daily 9am to 9pm. 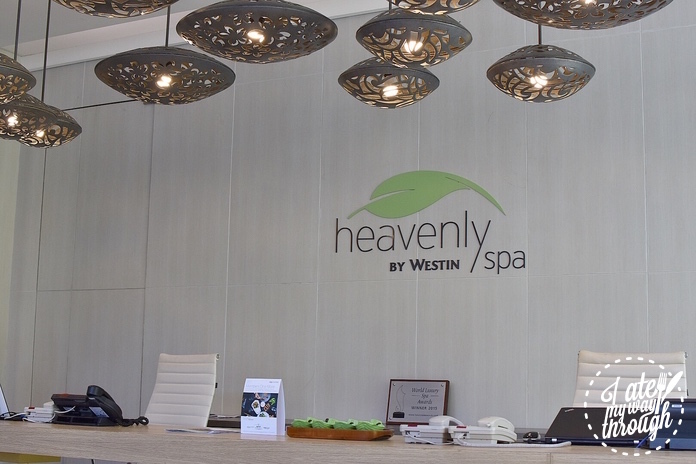 Westin also has one of Bali’s only dedicated kids’ spas where your little one can enjoy a massage, a mini facial and mani-pedis or get beach ready with hair braiding and nail art. All treatments use child-friendly products. 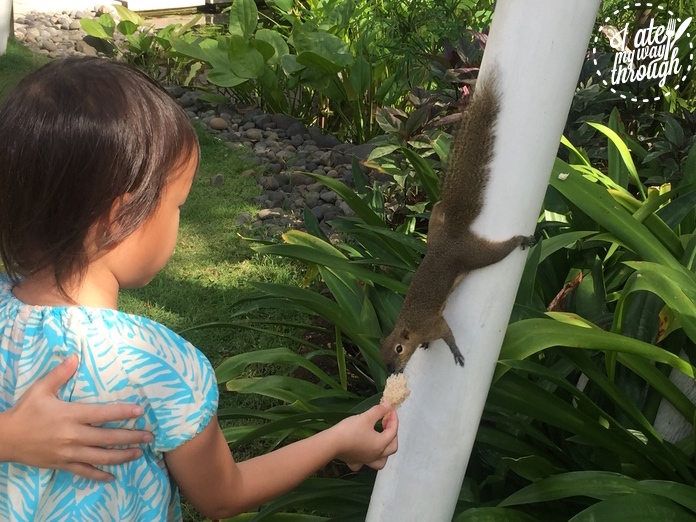 Beachfront dining, rejuvenating spa treatments, mouth-watering international cuisines, kids club, the Westin Resort Nusa Dua offers a comprehensive range of dining, relaxation and fun to keep yourselves and your children busy. For a family holiday to this part of the world, it really doesn’t get much better.